is like measuring Body Fat with a Tape Measure! No expenses for 5 years! Barometric pressure/altitude compensated O2 sensor for super stability. Slim Lab system includes an oxygen analyzer, permanently calibrated flow sensor, Barometric pressure and temperature sensors, face masks with head gear, USB interface and TurboFit software for Windows xp, Win 7 & 8. The advantage of PC-based instruments is that it allows you to see the test in progress on the computer screen. As you can see, it takes a few minutes for the breathing pattern to become stable in order to obtain valid results. PC not included, but may be ordered from us. 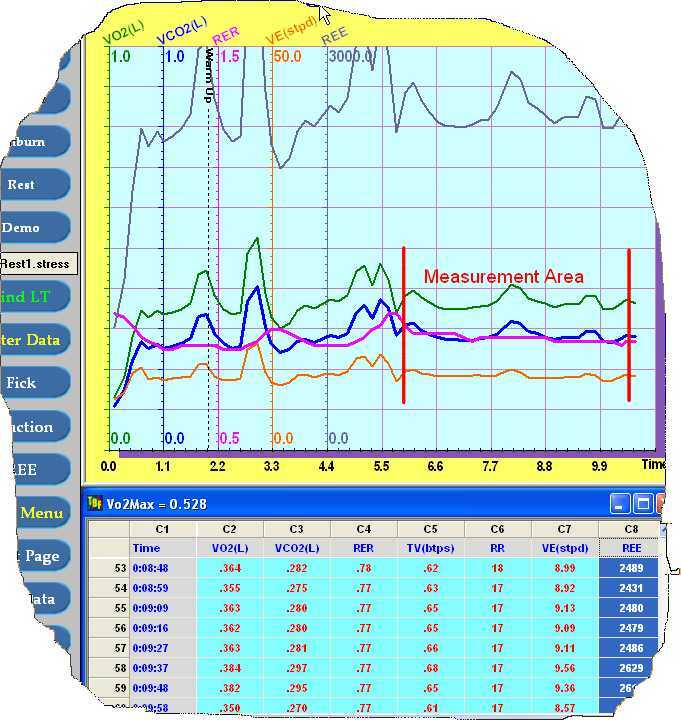 Data is displayed on-line on a PC using our TurboFit software, click here for "TurboFit" features and specifications. 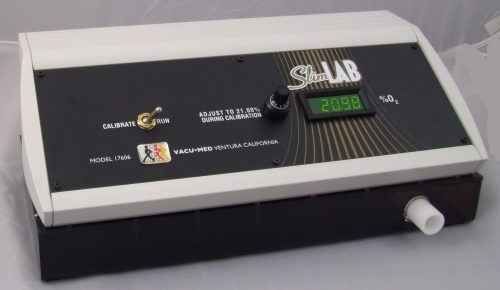 Not all variables are available with Slim Lab.